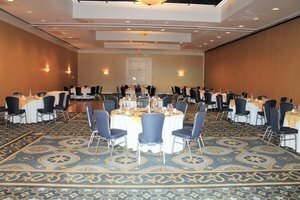 Host the perfect gathering at our event venue in Hampton, Virginia with 10,800 square feet of dynamic space available. Several of our ballrooms feature harborside views and a stunning showcase of the marina and Hampton River. 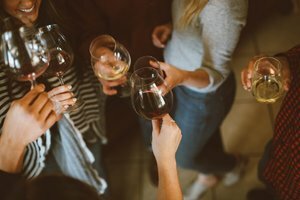 Our hotel is the perfect choice for weddings, seminars, and cocktail receptions. Plan your next stylish event with the assistance of our experienced team! Book our Hampton event venue today by filling out our Venue Inquiry Form! See our event space capacities. Accommodating guest lists as small as 12 and as large as 500. Our Grand Ballroom can host standing receptions of up to 700 guests and chic seated banquets for up to 400. Divisible into three smaller spaces A, B, & C, this 6,000-square-foot space is also ideal for smaller celebrations. 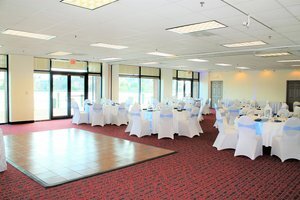 Offering breathtaking views of the Hampton River and historic Hampton University is our beloved Dockside Ballroom! 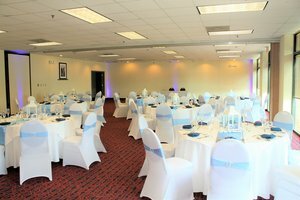 With 2,000 square feet of space, the Dockside Ballroom seats up to 100 guests and is perfect for rehearsal dinners, wedding receptions, and memorable private parties. 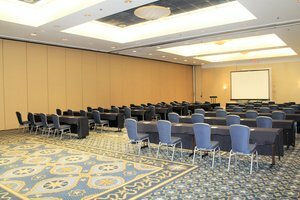 Perfect for intimate events, our Peninsula Ballroom offers 1,593 square feet and comfortably fits the needs of up to 70 guests. 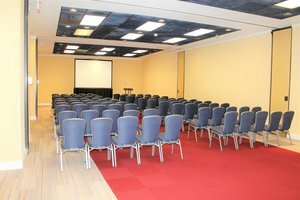 Your next family reunion or training session starts in the Chesapeake Room. This 400-square-foot room accommodates 40 guests comfortably in theater-style seating and can be arranged in a variety of set-ups. Focus on the task at hand in our Hampton meeting room for 12. The University Boardroom is located on the 9th floor with bright windows overlooking the marina and features 300 square feet of space for private meetings. We're a one-stop-shop with on-site catering, a/v services, and an experienced team with local vendor partnerships. 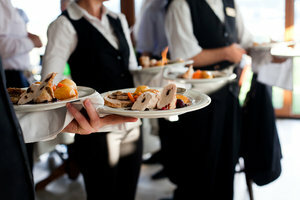 Personalize your event with your own menu. Choose from one of our set menus or create a feast of your own. The cuisine is up to you, from Italian to seafood, or soul food. Our talented food and beverage department has you covered. Relax knowing your event rests in the capable hands of some of the most knowledgeable and experienced event planners in Virginia. You’ll have a dedicated point of contact for your entire event and an upbeat team happy to handle the little details, so you can focus on the big picture. 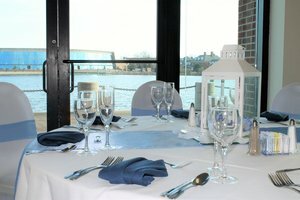 Book your space at our event venue in Hampton, Virginia today for an elegant waterfront wedding or banquet.